Look around – you see that mom, dad or best friend snapping pictures at a graduation, Memorial day party, or wedding? They want to preserve those memories, but what good is it if eventually, they’ll run out of space on their phone? With Picture Keeper Connect, #JustGoShoot – the ultra convenient photo backup system will do the rest. Like the 13 million+ photos on Instagram with the #JustGoShoot hashtag, Picture Keeper motivates you to follow the advice of this uber popular social media following! No-Fuss Backup: Backing up your photos and videos has never been simpler. 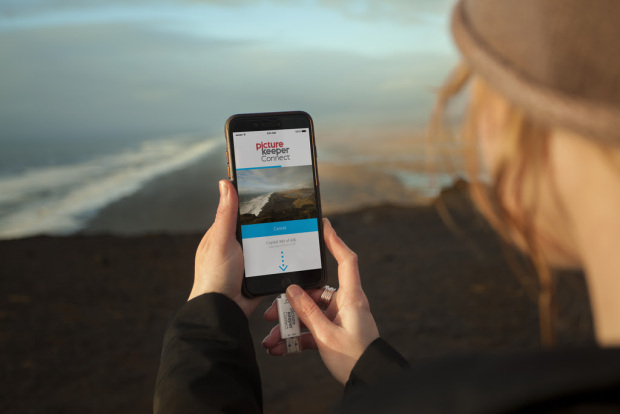 With Picture Keeper Connect, simply download the free app, plug in the drive into your device, and launch the app. Just click Start Backup and let Picture Keeper Connect do all the work. Get Creative: Craft custom gifts and prints with your photos directly from the drive using the app. Great for a personal touch to birthday, graduation, Mother’s Day and Christmas gifts as well! Keep Calm & Connect: In an emergency, simply plug the drive into any phone or smart device for instant access to stored contacts and important phone numbers. Fast & Flexible: View files on your Mom’s phone or share your photos from your own computer or phone. Added bonus: no internet connection required! Share endless photos and videos with family and friends – without using your data plan. Enjoy Every Minute: With Picture Keeper Connect, you’re able to view, select, backup and delete single items or entire albums with just the touch of a button. It’s stress-free and gives you extra time to spend with friends and family. I LOVE taking pictures on my phone. Although they do not always turn out great, I still love capturing life’s moments as they happen. I also have a problem though. I am always getting that dreaded message popping up on my device saying I have ran out of room. Whenever this happens I end of deleting apps on my device because I just can’t stand the idea of erasing my photos. Now, don’t get me wrong, I do back up photos, but I have to wait until I am on WiFi to do so. That makes things so much harder. Thankfully someone created something that I can use no matter where I am. No WiFi-No problem! Out of data-No Problem! Picture Keeper Connect has helped me solve my problem. All the photos on my phone can be safely stored on the Picture Keeper Connect. Just download the app from the App Store and follow the prompts. It was super easy to follow. Just a few clicks and my photos, videos, and even contacts can be saved to this device. Are you tired of getting that notice that your phone’s storage is full? Get Picture Keeper Connect! It really is the best choice for protecting your memory because this advanced technology allows you to cherish those candid moments without worrying about storage space. Enjoy the stress-free software solution for backing up your most special recollections. #JustGoShoot and never worry about phone memory again with Picture Keeper Connect! Picture Keeper Connect is compatible with both iPhone and Android, as well as Mac and PC computers. For a more detailed list, click here. When a close friend lost all of her pictures on her computer during a lightning storm, Simplified IT Products’ founder and CEO Matt Stanchie was struck by inspiration. With Matt’s background in technology, he began to develop a simple, foolproof way to protect digital images. As a result, he created Picture Keeper, a USB drive with built in software that can search and copy all the digital files from a computer onto itself. 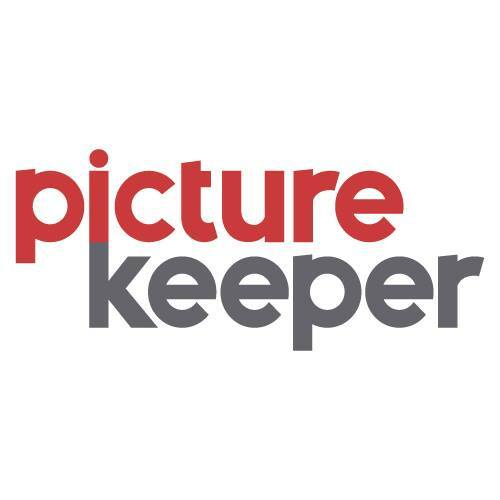 Picture Keeper takes the hassle out of backing up digital files – just plug in, click “Start Backup,” and Picture Keeper does the work for you while skipping duplicates. Disclaimer: We were provided with a Picture Keeper for review purposes. No compensation was provided for this review. All opinions presented are 100% mine.